There is no perfect plan when it comes to self-care. The important thing is to have a plan and make self-care a career-long focus. Not only will the methods that counselors find effective vary from practitioner to practitioner, but a self-care routine will also need to evolve to meet changing needs throughout a counselor’s career. “No one person has the ideal formula for optimal self-care; We are unique individuals with varied life experiences,” write the co-authors of Counselor Self-Care. 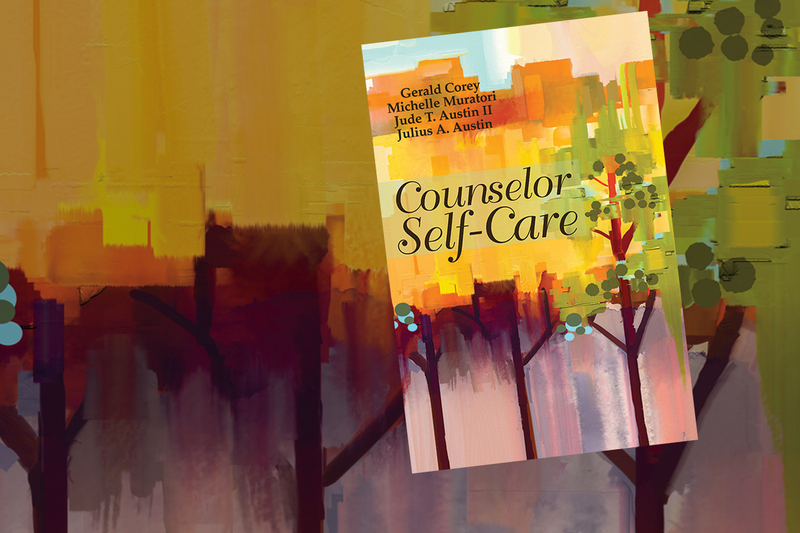 The book, recently published by the American Counseling Association, compiles the insights and personal self-care journeys of more than 50 counselors from across the profession in various stages of their careers. Counseling Today sent the co-authors some questions, via email, to learn more. Gerald Corey is an ACA fellow and professor emeritus of human services and counseling at California State University, Fullerton; Michelle Muratori is a senior counselor at the Center for Talented Youth at Johns Hopkins University in Baltimore; Jude T. Austin II is an assistant professor in the Counseling and Human Services Department at Old Dominion University; and Julius A. Austin is an assistant professor in the Marriage and Family Therapy and Counseling Studies program at the University of Louisiana at Monroe. Why, in your opinions, is self-care considered an ethical mandate? Simply put, we can place our clients in danger when we do not take care of ourselves as counselors. It is hard for us to believe that counselors can make sound decisions regarding their clients’ welfare when they are struggling to make sound decisions about their own welfare. Self-care as an ethical mandate involves taking active steps to acquire and maintain wellness in all aspects of living. The concept of wellness is a lifelong journey that has implications for us both personally and professionally. We sometimes hear that self-love and self-care are signs of selfishness. As co-authors of this book, we believe that it is not a matter of self-care versus caring for others. It is surely possible to be invested in both. We may feel invested in promoting a good life for others and be instrumental in improving conditions in our communities. But to be genuinely involved in social action and bettering society, we need to begin with ourselves. Taking time to reflect on the quality of our lives is a good beginning for making changes in our behavior that will lead to increased wellness. If we neglect caring for ourselves on a regular basis, our professional work suffers, so self-care is a basic tenet of ethical practice. If we are drained and depleted, we will not have much to give to those who need our time and presence. The prevention of burnout and the commitment to monitoring ourselves is a cardinal ethical principle. The 2014 ACA Code of Ethics includes the statement that “counselors engage in self-care activities to maintain and promote their own emotional, physical, mental, and spiritual wellbeing to best meet their professional responsibilities” (Introduction to Section C, Professional Responsibilities). Meeting this ethical standard is not a final event, but instead it is a call for counselors to reflect daily on what they are doing and the degree to which their behavior is working. Self-care can be thought of as a set of practices that prevent emotional depletion and burnout. 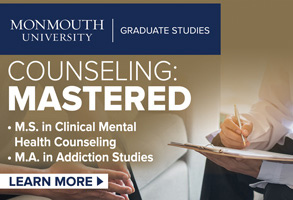 Books and chapters, as well as articles in the professional journals are being written on counselors focusing on prevention of burnout, as well as learning to manage personal and professional stress. One example of this is Counseling Today’s recent article “The Battle Against Burnout” (the cover story of the April issue). 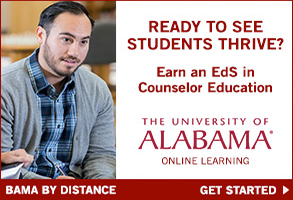 In general, do you feel that new counselors emerge from graduate and training programs with an adequate understanding and focus on self-care? We have not conducted any surveys on self-care in graduate programs, so we cannot answer this question with supporting empirical evidence. It is our assumption that counselor preparation programs do their best to give this topic some degree of attention. In fact, some programs may do a fine job of educating their trainees about the hazards of burnout and the necessity for self-care. However, understanding the concepts intellectually and experiencing the demands of the profession firsthand are two different things. Each of us has heard from trainees during their practicums and internships that they are surprised by the intensity of the work and the stress that it produces. Too often students graduate and enter the early phase of their career with idealism and optimism, only to encounter barriers to achieving their professional goals and maintaining wellness. The amount of paperwork, responsibility, emotional energy, and strain on personal relationships are just a few things our students said they wish they would have known about before graduation. At times, their optimism wanes and their hopes to see changes are dashed, which leads to disillusionment, exhaustion, and early stages of burnout. While we cannot speak with authority about programs in general, we can speak about what we do to encourage our students to develop self-care practices that will bode them well in graduate school and strategies that can enable them to prevent burnout. As co-authors of this book, the four of us take the ethical imperative of self-care very seriously and do our best to incorporate self-care activities and practices in the courses we teach and in our role as mentors with the many students with whom we work. We think it is of paramount importance that faculty model attitudes and practices of self-care. Our students will be more impressed by who we are and how we interact with them than by our lectures on self-care. In our respective programs, many of our colleagues introduce a variety of self-care activities in their classes, including mindfulness exercises. Some of us encourage students to develop a self-care action plan, and to think of ways to make learning a personal journey rather than a strictly academic pursuit. 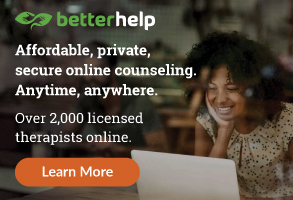 What resources would you suggest for a “veteran” counselor who has been working in the field for a while and is looking for ways to boost or update/refresh their self-care routine? To update/refresh their self-care routine, experienced counselors need to endorse the value of lifelong learning, realizing that their education and development do not stop at graduation. One of the best ways to revitalize their self-care routine is to find new ways to connect to valued colleagues who share their passion for this work. Colleagues can serve as mentors long after we are into the professional field. Personally, we find attending professional conferences, workshops, learning institutes and other forms of continuing education to be valuable resources and networking opportunities. The four of us attend the ACA conference every year in addition to other professional meetings. We always come away feeling inspired, with new ways of thinking about topics that matter to us. We typically present education sessions and participate in learning institutes, and this affords us opportunities to work with students and counselors from various parts of the country. This is energizing for all of us! We also try to carve out time to enjoy lunch or dinner with colleagues, former students and friends in the area. We also intentionally make time to rest, sightsee and enjoy what the conference’s host city has to offer. These activities recharge our batteries and equip us with new tools to bring back to our students, clients and supervisees. Besides keeping professionally updated, we are convinced that counselors who have worked in the field for a while can bring more vitality to their work if they are attending to their personal lives. Thus, engaging in various forms of recreation and hobbies are ways to refresh our self-care routine. Participating in travel can be taxing, but it can also broaden our perspectives and help to keep us interested and interesting. Another strategy is to try something new that has nothing to do with professional development. We might try a new sport, plant a garden, play a new video game, read a book purely for pleasure, learn a musical instrument or implement a new exercise routine. We must find ways to boost our routine when it starts to feel stale. What is critical is that each of us must find our own path for retaining our vitality, both personally and professionally. Self-care that a counselor finds helpful will differ and evolve throughout their career. What would you want counselors to know about the need to change and adapt their self-care routine as they grow as a professional? We would want counselors to know that self-care is a delicate process that is unique to each counselor. What works from some may not work for others. Moreover, a self-care plan that meets one’s needs at a certain point in one’s career may no longer serve us at a later time. There are likely to be many twists and turns in the evolution of our career; thus, we may need to be prepared to adapt our self-care practices accordingly. Being patient with this process and with ourselves as we navigate new personal and professional experiences is of the utmost importance. As alluded to, even if we have been successful in establishing self-care practices as we begin our career, we are likely to find that we need to make changes as we take on new responsibilities. These stages include (1) graduate school; (2) early career; (3) mid-career; and (4) late career. Since each of the co-authors is presently in a different stage of professional development, we each describe challenges we face and how we do our best to thrive personally and professionally. In our book, Counselor-Self Care, we devote a chapter to self-care across the seasons of our career, in which we address this question in some depth. Self-care involves unique challenges at each developmental stage in a career. For example, how we meet these tasks during graduate school has implications for how well we will be able to address them throughout our career. Transitions in life can be stressful, even when they bring about positive change. One such transition is leaving the safety net of a graduate program and launching a career as a new professional. Entering this next season of their life and career as early professionals can indeed be very exciting. However, it is a period when many changes occur and major life decisions are made. 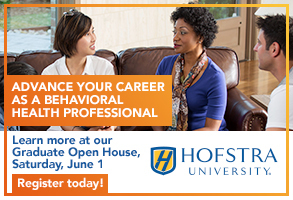 As clinicians and counselor educators gain more experience in their professional roles and enter into the mid-career phase, it is likely that they will be expected to take on greater professional responsibilities, which are inherently stressful. For instance, clinicians may be promoted to positions that require them to supervise others and manage budgets while those pursuing positions in higher education may have to weather the challenges associated with going up for tenure. 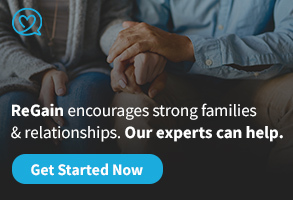 At the same time, they may be experiencing developmental stressors in their personal lives such as dealing with aging parents or children leaving the nest to go away to college or to enter the workforce. For mid-career mental health practitioners, the challenge involves becoming aware of developmental stressors, finding ways to maintain competence and assuming an active role in engaging in lifelong learning. This is a time for practitioners to continue to become aware of common risks for burnout and to monitor how well they are managing stress, especially with the increasing demands associated with a mid-career. It is important to adopt an active role in collaborating with colleagues and to avoid professional isolation and burnout. The late-career professionals often are faced with adapting their lifestyle and self-care routines. Retirement is a part of this phase of one’s career. Retirement is an opportunity to redesign our life and to tap unused potentials; it is not an end to all work. There are many choices open to us as we embark on the path toward retirement. We can get involved with the projects we might have put aside due to the demands of our job. We can discover that retirement is not an end, but rather a new beginning. Retirement is a major transition in life that brings a variety of choices and transitions. A major developmental task we face as we retire is deciding which path we will take to continue to find meaning in life. What prompted you to collaborate and create the book? Why do you feel it’s a relevant/needed topic to cover now? A combination of factors prompted us to collaborate and create this book. Primarily, our relationships with one another as a collaborative team on various other projects sparked our excitement to work together again. While attending professional conferences, we had observed a large number of attendees at self-care presentations and had noted that self-care for mental health professionals was being given more attention in the literature. In addition, we noticed a number of our own students, supervisees and colleagues asking for more information about self-care and talking about how spread thin they were with all of their demands. When we initially brainstormed ideas, we realized that the book would have more depth if we brought our combined life experiences and perspectives to the project. We aimed to write a book that presented diverse perspectives on self-care with the objective of encouraging counselors and counselor trainees to evaluate their present level of self-care and consider specific changes they want to make in attending to all aspects of wellness in their personal life. The book gives readers a chance to look into the lives of many different helping professionals as they wrestle with taking care of themselves. The four of us are engaged in professional work in different settings and are at different stages in our careers. Two of us are early-career professionals, one of us is a mid-career person, and one of us is a person in his late career. Individually and collectively our aim was to offer a balance of challenge and support as our readers consider ways to enhance their personal and professional life through self-care. Early on we decided to invite guest contributors to share their experiences in meeting the ethical mandate of self-care. We exchanged ideas on how we could reach our audience with the message “Counselor, take care of thyself!” Our many discussions led to our decision to include a wide range of students, counselor practitioners, and counselor educators to share their self-care stories. We were impressed with their levels of honesty and courage in disclosing their struggles and sharing the action plans they devised to treat themselves with increased kindness and compassion. Despite the obstacles our guest contributors encountered, their stories are filled with their hopes and visions for the future. Many themes were explored, including not demanding perfection in taking care of themselves, continuing to strive to do better despite occasional setbacks, asking for the help they needed, recognizing that consistency in self-care practice is essential to competently serving others and that self-care is a process. Our hope is that readers will be motivated to engage in honest self-reflection of where they are now and where they would like to be in their self-care program. After reading the narratives of 52 guest contributors about their experiences with self-care, along with our thoughts and experiences related to this topic in each chapter, readers can continue to implement a personal action plan that will lead to wellness in all aspects of their lives. There is no perfect plan that will motivate us to achieve our self-care goals, yet if we have no plan it will be difficult for us to survive the demands of our professional work, let alone thrive in our lives and careers. It is our hope that students and counselors who complete this book will make a comprehensive assessment of their current behavior and determine what changes they want to make to better meet their needs — physically, emotionally, mentally, socially and spiritually. As counselors, we have the responsibility to do whatever it takes to be as present and effective with our first client of the day through to our last. We need to remind ourselves that self-care is not a project that is completed once and for all, but rather it is a process of taking care of ourselves. We need to put ourselves in our schedule so that we will have the stamina to fulfill the many demands of our professional work. It is our expectation that readers will see that burnout and impairment are not inevitable. If we make self-care a priority, not only can we stave off burnout, but we can engage in daily practices leading to wellness.